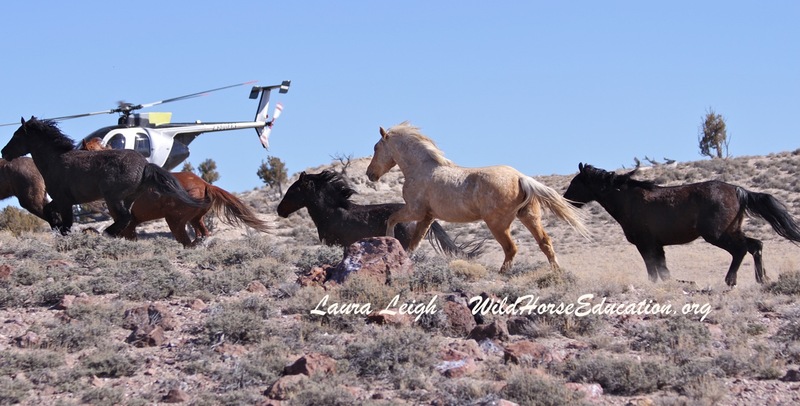 Day 1 saw 36 wild horses captured. The day went smooth (no chaos or injuries) and trap moves tomorrow. Updates throughout the operation will be posted here. Day 3: 133 captured. Total captured so far 267. Two newborns came in today expected to ship with mares to PVC. Our expectation is that trap will move either tomorrow afternoon or Tues am. Wild Horses were mostly 5 and better in body class. On the way in we saw a wild horse with a broken leg. We reported to BLM and bet and crew came. BLM reported that the injury was old and euthanized the horse. We will ask to see file image tomorrow. Weanlings and yearlings were transported today to the Eureka Fire Station for the trap site adoption event February 28th. If you commented on the EA through our website for Fish Creek you will be receiving a special email update to see how your comments added information to the EA. We will also send you updates as we gather the data for Fish Creek and work toward creating solid management options. 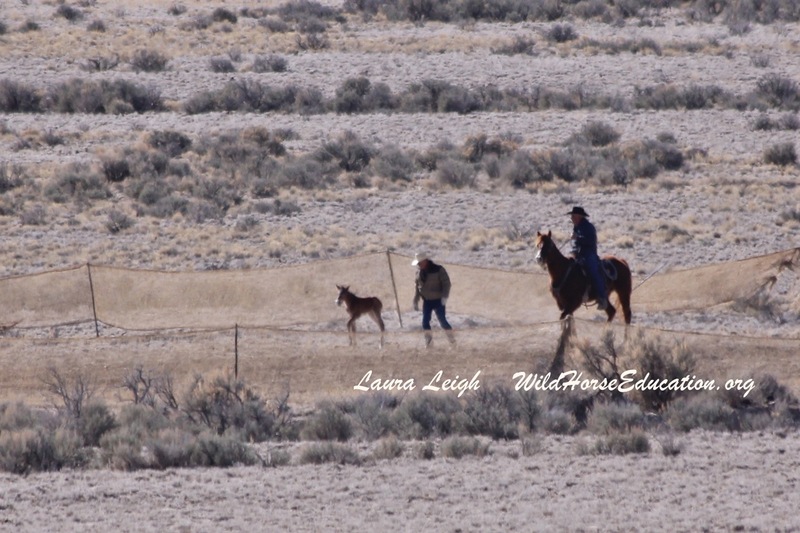 We will continue to work as hard as possible to create a new future for the amazing wild horses of Fish Creek. We will address every area of process available to protect them. Together we can. 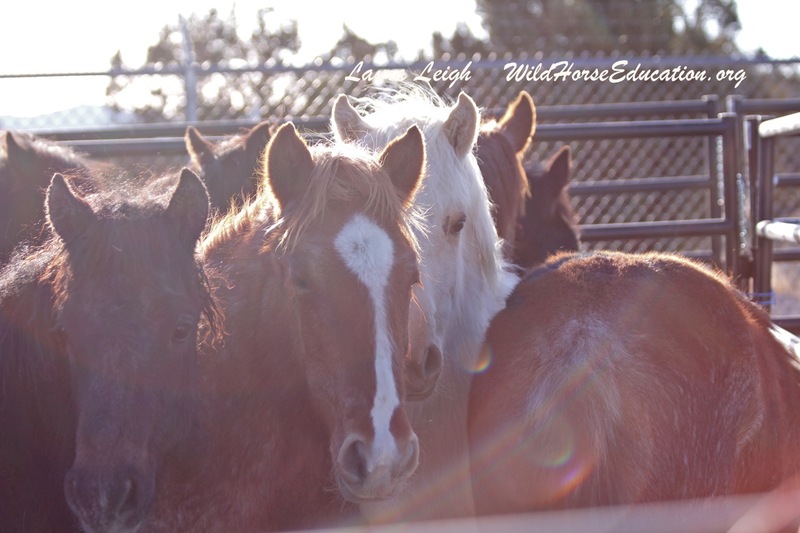 Wild Horse Education is devoted to gaining protections for wild horses from abuse, slaughter and extinction. Please stand with us. Updates will be posted on the page.